Would you like to have more autonomy in the simple daily tasks, like choosing your own clothes, or the color of your pen? Now it is possible for everyone. Feelipa is a very simple, easy to memorize and universal color code, by being associated with globally recognized geometric shapes. 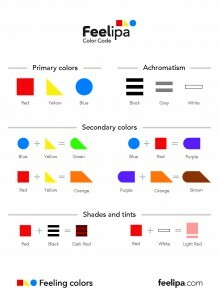 By presenting itself in relief, it is easy for anyone to correctly identify colors. Because color is for everyone. Do you know what a square, a triangle and a circle are? These are the primary colors. 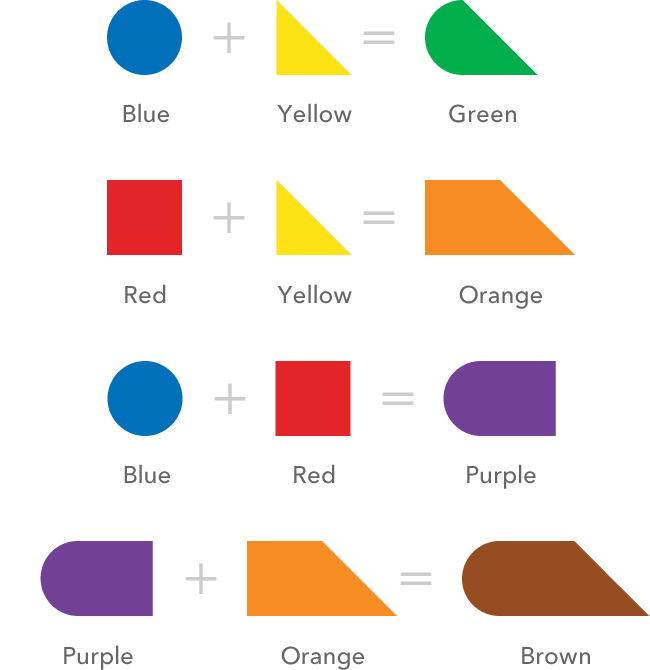 Do you know how color mixing works? Then you already know the other colors. Black and white are colors too. And so is gray. 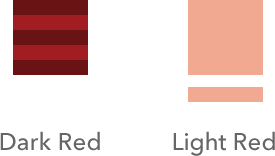 Because these are “special” colors, they are represented with straight horizontal lines. Mix black or white for shades or tints. Shades have black inside of the geometric shape, and tints have white on the outside. A whole range of colors. color palette, which spans 24 different colors. Download a simple one-sheet explanation of Feelipa, print it and share it with others. We just opened our shop, where you can buy embossed adhesive labels to identify the color of day-to-day items.